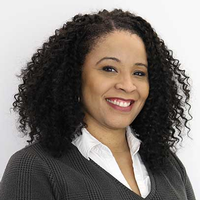 Tasha Lewis, PhD., is an Associate Professor in the Department of Fiber Science & Apparel Design and teaches in the area of fashion design management. Her research interests include the disruptive impact of technology in the apparel industry, the behavior of fashion brands, global and domestic apparel production ("glocalization") issues, and the significance of social responsibility and sustainability throughout the apparel supply chain. Dr. Lewis has also worked in the apparel industry in areas of production, sourcing, and retail operations and maintains ongoing contact with industry professionals to inform her research. She also serves on the Faculty Advisory Board of Cornell’s Atkinson Center for a Sustainable Future. My current research focuses on the viability of scalable apparel production processes based on principles of sustainability with a focus on the transformation post-consumer textile waste into new products. Trejo, H.X., & Lewis, T.L. (2018). Seeing raw fibers:Collaborating with fiber farmers to develop tacit knowledge in a fiber sorting, grading and classing apprenticeship. Journal of Textile Design Research and Practice, 1-21. Lewis, T.L., Zeng, X., Sanchez, V., & Fan, J. (2017). Environmental evaluation of fabric dyeing and water use for a global apparel manufacturer. AATCC Journal of Research, 4(1), 1-13. Trejo, H.X., & Lewis, T.L. (2017). Slow fashion and fiber farming: Nexus for community engagement. Fashion Practice, 9(1), 120-142. Lewis, T.L., & Loker, S. (2016). Trying on the future: Exploring apparel retail employees' perspectives on advanced in-store technologies. Fashion Practice. Lewis, T.L., Park, H., Netravali, A.N., & Trejo, H.X. (2016). Closing the loop: A scalanle zero-waste model for apparel reuse and recycling. International Journal of Fashion Design, Technology and Education. Lewis, T.L., & Pringle, A. (2015). Local buttons: Sustainable fashion and social entrepreneurship in Haiti. Nka Journal of Contemporary African Art, 37, 114-125. Lewis, T.L., & Loker, S. (2015). Adoption of emerging in-store technology interfaces for the apparel retail employee. In Pantano, E. (Ed. ), Successful technological integration for competitive advantage in retail settings. Hershey, PA: IGI Global. Lewis,T.L. (2015). Apparel disposal and reuse. In Blackburn, R. (Ed. ), Sustainable apparel. Cambridge, United Kingdon: Woodhead Publishing. Lewis, T.L., & Loker, S. (2014). Technology usage intent among apparel retail employees. International Journal of Retail & Distribution Management, 42(5),422-440. Lewis, T.L., & Gray, N.E. (2013). The maturation of hip-hop's menswear brands: Outfitting the urban consumer. Fashion Practice,5(2), 229-244. Lewis, T.L. (2010). Folklore influences in Mexico and Panama. In The encyclopedia of world dress and fashion (Vol.2, pp.131-136). Oxford:Berg Publishers. Harris, L., & Lewis, T.L. (2010). La pollera:The national dress of Panama. In The encyclopedia of world dress and fashion (Vol.2, pp. 232-237).Oxford:Berg Publishers. I aspire to teach all my students to be constantly engaged with the larger context of the fashion industry. This includes classroom learning that I provide and initiate, but I also encourage them to bring in their experiences and observations from resources they may be accustomed to using. This makes for interesting dialogue with students and allows me to maintain currency and relevancy with topics and learning materials. I also enjoy sharing my research interests with students and actively recruit them to participate in my projects. I have supervised undergraduate and graduate researchers in areas of sustainability, technology usage and entrepreneurship.